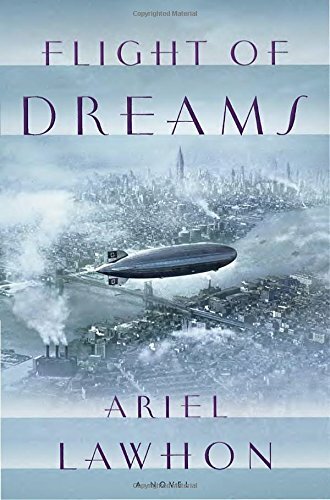 Love story, tightly plotted thriller, heartbreak hotel: you’ll be sweating bullets and may shed a few tears while reading Ariel Lawhon’s new novel, Flight of Dreams. Lawhon imagines what might have happened on the final, doomed journey of the Hindenburg before it exploded in May of 1937, and she’ll be reading from her engaging new novel tonight at 6:30 at Parnassus! Lawhon takes on one of the great mysteries of the 20th century – why the Hindenburg exploded on May 6, 1937, as it attempted to dock in New Jersey after a 3-day flight from Germany. It ignited and burned completely in less than a minute. Because it was so close to the ground at the time, 61 members of the crew and passengers lived, many by jumping out, while 36 died. Travel by Zeppelin ceased, though at the time it was considered one of the most advanced and elite forms of transportation. Investigations were launched and conspiracy theories abounded, but the cause of the explosion was never identified. Lawhon chooses to focus on five real passengers – the American, the Navigator, the Cabin Boy, the Stewardess, and the Journalist. She creates a believable web of relationships to bind them, and the growing power of the Nazi state looms menacingly over each character. At the heart of Flight of Dreams is the love story of Max Zabel, the Navigator, and Emilie Imhof, the Stewardess, and the question of how much Emilie will risk for that dangerous love. As they secretly meet, another person on board (“the American”) is also at work in quiet ways. He has come on board to destroy the aircraft, a proud symbol of Nazi Germany. The Journalist is suspicious, determined to find out what he’s up to. Secrets abound on board the Hindenburg in Lawhon’s telling, but none of them stretch your belief so far as to seem ridiculous. Rather, a series of all-too-human dramas play out while the fiery end draws near. Don’t give up on this novel if the first 20 pages don’t pull you in hard. Lawhon brings to life a large cast of characters in a complicated plot; the story moves along with urgency once it gets going; and the ending holds both hope and terror. I applaud her for avoiding melodrama as she imagines a story that could have easily slid into that territory. The smart and lovely Ariel Lawhon lives in the rolling hills outside Nashville. She is the author of a well-received debut novel, The Wife, The Maid, and The Mistress, and founder of the popular blog SheReads. She also manages four young sons (and a dog) with the help of her husband. I hope to see you at Parnassus tonight at 6:30 to hear from her! Loved her first book! Can’t wait to check this one out. Thanks for sharing. Jennifer, thanks for the recommendation! The book’s topic sounded so interesting that I grabbed a friend at the last minute and we went to hear the author speak. So glad we did. I loved what the author said about how she came up with the idea for the book and about the process she went through to write it and get it published. This book could easily turn into a movie. Thanks for the suggestion!